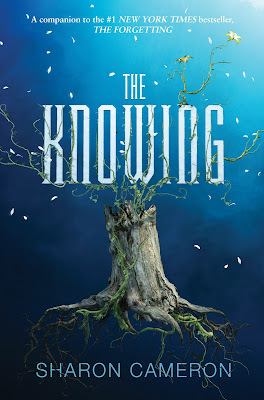 Two Chicks On Books: Blog Tour- THE KNOWING by Sharon Cameron An Excerpt & Giveaway! Blog Tour- THE KNOWING by Sharon Cameron An Excerpt & Giveaway! Hey everyone! 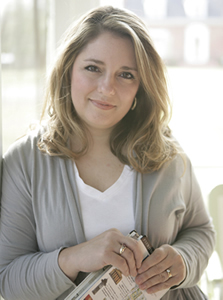 I am thrilled to be hosting a spot on the blog tour for THE KNOWING by Sharon Cameron! I adore Sharon's books! Haven't heard of THE KNOWING? Check it out! Samara doesn't forget. And she isn't the only one. Safe underground in the city of New Canaan, she lives in a privileged world free from the Forgetting. Yet she wonders if she really is free, with the memories that plague her and secrets that surround her. Samara is determined to unearth the answers, even if she must escape to the old, cursed city of Canaan to find them. Someone else is on their way to Canaan too . . . a spaceship from Earth is heading toward the planet, like a figment of the city's forgotten past. Beck is traveling with his parents, researchers tasked with finding the abandoned settlement effort. When Beck is stranded without communication, he will find more in Canaan than he was ever trained for. What will happen when worlds and memories, beliefs -- and truths -- collide? No part of this publication may be reproduced, stored in a retrieval system, or transmitted in any form or by any means, electronic, mechanical, photocopying, recording, or otherwise, without written permission of the publisher. For information regarding permission, write to Scholastic Inc., Attention: Permissions Department, 557 Broadway, New York, NY 10012. I am one of the Knowing. I was three years old the day my memories came. I had my arms stretched out, my brother, Adam, flying me up and around and over his head like the bluedads that dart through the linen fields. I was laughing. And suddenly there were voices in the rush of air. Images. Swirling color. And so much feeling. Cold on new skin the moment after my birth. Hunger pangs before I knew how to ask for food. Fear. Shame. I knew the number of painted stars on the ceiling over my bed. I knew how many pins held back my hair. I knew because I remembered. And then I sank, deep inside my mind, and I was two seasons younger, standing before my mother’s chair, tears running wet on my cheeks, skin hot on the back of my hand. “We do not show what we feel,” Mother says. “When I cannot see your fear, there will be no slap.” And then she slaps my hand. Stinging. Again. And again. Fifteen years have passed since that day, and my memories are like words piled on words on pages that are infinite in ink that is indelible. As sharp and fresh as the day they were written. I saw Adam die, and I have lived that death a thousand times. I will live it ten thousand more. When you cannot forget, pain is a fire that never stops burning. I am one of the Knowing. The privileged. Special. What have we done to be punished with this life? 3 winners will receive a finished copy of THE KNOWING. US Only. Hello. I can't participate in the giveaway since I'm not in the US but I would like to participate in the blog tour. There's no link for that. Interesting title, interesting excerpt. Makes me want to know more about the story. These books sound like they are "must read". Thanks. So excited for this sequel!